(TibetanReview.net, Mar21, 2017) – A young Tibetan farmer has set himself on fire on Mar 18 in Nyagrong (Chinese: Xinlong) County of Karze (Ganzi) Prefecture, Sichuan Province, in protest against Chinese rule. While it is not clear whether he survived or died, some ten of his relatives who went to look him up later in the evening were severely beaten and tortured the whole night by Chinese police, said Dharamshala-based Tibetan Centre for Human Rights and Democracy Mar 20 and several other earlier online reports. 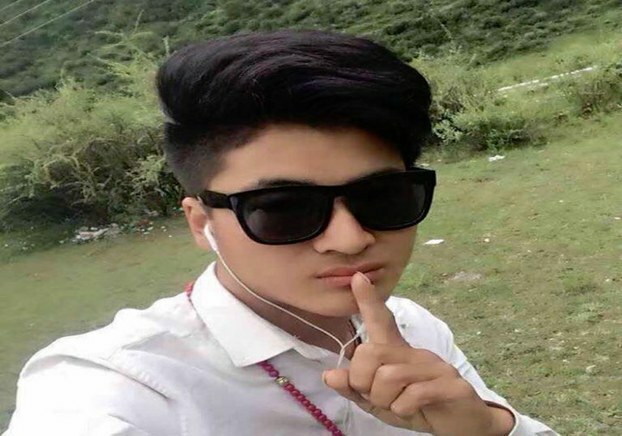 The reports said Pema Gyaltsen (or Pegyal), 24, carried out his fiery self-sacrifice protest at around 4 pm local time near the county’s Tsokha Monastery. It was not clear how long he burnt. The reports only said he, or his remains, were taken away by police to a hospital, with no information whether he survived or died. China’s clampdown on communication channels is said make it most difficult to find out any further information about Pegyal’s situation. He was reported to have called on the Chinese authorities to allow the Dalai Lama to return home and to have denounced the lack of freedom in Tibet. A minute-long video clip circulating on Tibetan social media show Chinese police dispersing Tibetan onlookers from a scene of commotion, including with women crying. The authorities reportedly blocked the popular smartphone application WeChat after the self-immolation. Pegyal is said to be the eldest of five siblings and his family’s sole earning member. He belongs to the county’s Chayul Village, with his father’s name being Wangyal and mother’s Yulha. The reports said some ten relatives of Pegyal approached the County Public Security Bureau, the police, to enquire about the youth’s condition and whereabouts. However, the police responded by beating them severely and then forcing them to keep standing the entire night. With acute pain in their legs and spinal cords, they were finally released after officials from their respective townships provided letters guaranteeing their future good conduct, the report added. Pegyal’s was the first self-immolation protest in Chinese ruled Tibet this year, and the 147th since this form of protest started in Feb 2009, said the Tibetan Service of Radio Free Asia (Washington) Mar 19. Before him, Tashi Rabten, a 33-year-old father-of-three, had set himself on fire in Dec 2016 and died in a Tibetan area that is now part of China’s Gansu province.